Thanks to Miles Chevrolet, a special opportunity has been made available for drivers, fans, and area businesses to purchase $2 tickets for Championship Night September 26th. Tickets will be sold in packs of 25 and will cost $50. These tickets are only available until Friday, September 25th. Drivers and fans can stop by the Speedway office located at 650 N. Woodcock Rd. in Macon, IL, Monday through Friday 8am-5pm starting today to purchase the discounted ticket packs. You may also call the office 217-764-3000 and pay with a credit card and have the tickets mailed to you just pay shipping and handling and allow time for delivery. Drivers, this is a great opportunity to show your appreciation to your sponsors, family, friends, or neighbors by giving them tickets to come out to the races and see what your passion is all about. We will also be holding an autograph session in the infield to get the fans up close and personal to the cars and stars of Macon Speedway. 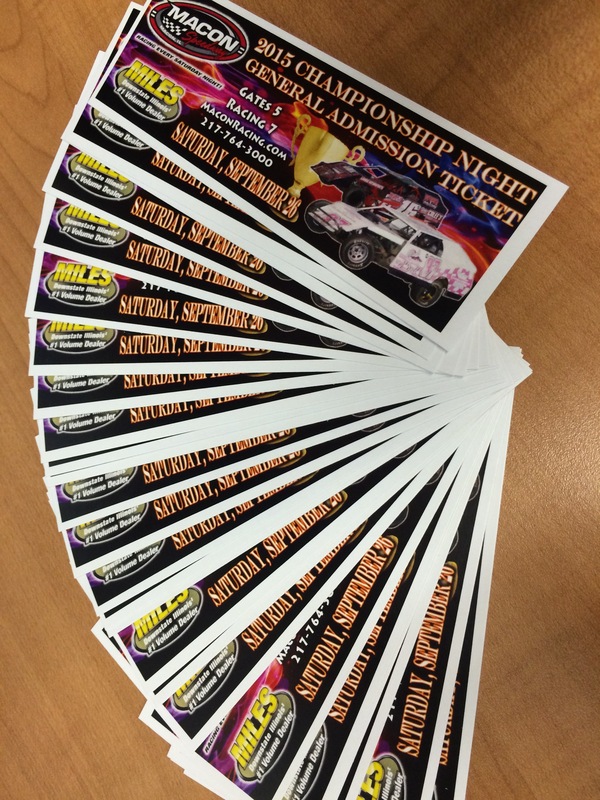 These special $2 tickets must be purchased in advance and may not be distributed on speedway grounds. Be sure to get a jump on the competition as only a limited number of packets are available and when they are gone, the discounted promotion will be over. Racing Saturday, September 26 for Miles Chevrolet Championship Night will include the Billingsley Towing Modifieds, Street Stocks, Micros, B-Mods, and Hornets. Gates open at 5pm, while racing starts at 7pm.